This year for Good Friday we are doing something different. It’s an experience we first did in 2014 and have refreshed it for 2019. 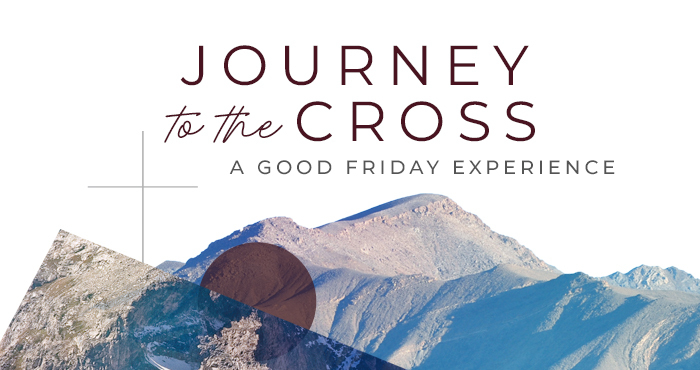 The Journey to the Cross experience is a way to guide us through reflecting on Jesus’ journey to the cross. There will be 12 stations set up throughout the church which you will visit in sequence. You can do this individually or as family, and you can go at your own pace. At each station there will be something to read and a small action to do. The actions are simple but meaningful as we think about the series of events that led to Jesus’ death for us. These stations are appropriate for all ages and are also accessible-friendly. We encourage families to experience this together. The church will be open from 8:30am – 11:30am on Friday April 19 for this experience. You can come at any point in that time. You can expect your travel through the stations to take about 30-45 minutes. Here is an example of the instructions you will receive when you arrive, as well as the reading and action for the first station. Welcome to our guided walk through the Journey to the Cross. We hope this event will give you space to reflect on the events of Jesus’ crucifixion in a unique and meaningful way. Just a couple of notes before you begin. Please remain as silent as possible for the duration of the walk. Parents with young children are encouraged to explain the stations to your children, but use a whispering voice. Take your time – there is no need to rush through the program. If someone behind you is going faster than you are, simply allow them to pass through the station ahead of you. Some stations are interactive. If you feel uncomfortable participating in the activity, please feel free to simply watch or reflect and then move on to the next station. Staff are wearing black shirts and nametags so that you can easily identify them and ask any questions you may have. Imagine the infant world in all its perfection. Imagine what it was like when every single relationship (People with God, People with People, and People with Earth) was utterly perfect. Take a moment to think of the good things God has created in this world. 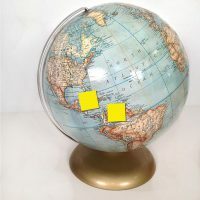 Write down a few of them on a post-it note and put it on the globe.